My father owned a UK 1967 1500 deluxe from new, the car was a special order schwarz L41 (black), the interior was Indian red basket weave. He also opted for US spec bumpers to avoid any undue knocks from the larger higher bumpers that were appearing on other cars of the time. 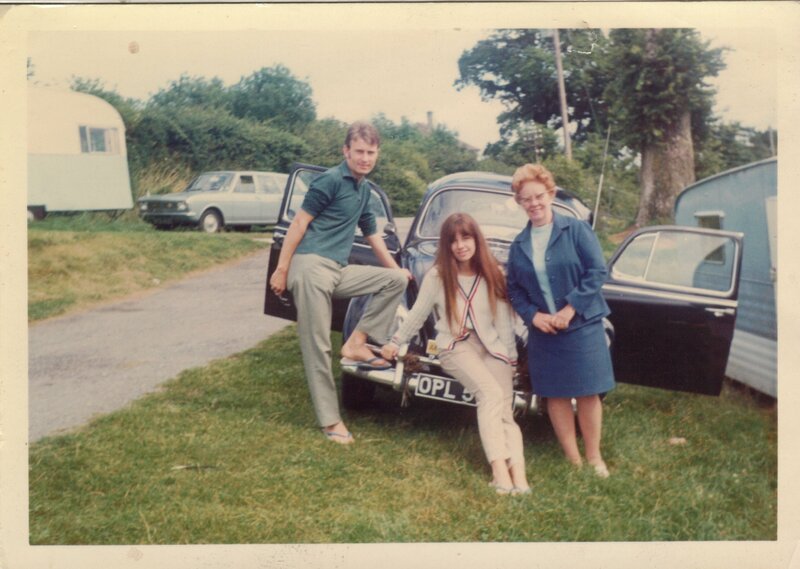 This is his car with my mum and my grandma on holiday in devon around 1968. At the time and there after, my father always said that it was known as the “best year beetle.” I put this down to bias for many years until I started hearing it from more and more sources. So, let’s have a look at the features of this one year car and look into this statement to find some solid reasons for this accolade. The rear deck lid is modestly simplified, it finally clears away the remaining W impression that the 66 still sported at the top of the lid, this harked back to the flowing lines of the split rear screen which had gone 14 years earlier. The US spec bumpers had been around for many years due to safety regulation stipulating increased height coverage front and rear. The 1500 single port engine was developed for the Type 2 transporter/kombi/microbus. This powerful engine was highly regarded as one of the key cogs in the 67’s success. The original Type 1 engine was designed to be driven all day long at its motorway/autobahn speed. The 1500 engine did two things, provided more power but did not decrease reliability of the core engine design. 1500 heads lasted and suffered less cracking than later twin port heads, emissions control had not yet strangled the simple Solex 30 pict-2 carburetor. Ratios in the gearbox made this the best (highly sought after) gearbox VW made, great for lower engine revs at cruising speeds. 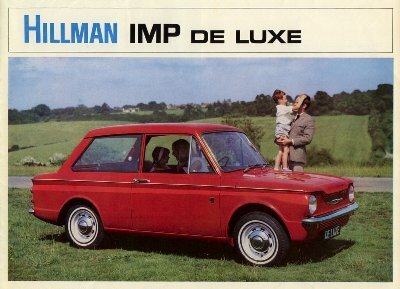 The addition of disk brakes made the car a market leader in 1967, in the UK it was one of the first cars in its price band with this feature and was one reason my father bought it (the other car he nearly bought was the Hillman Imp but this did not have disk brakes as standard, though it did have a rear engine!). One feature that VW should have provided to all of us in this year was the US addition of the dual circuit brakes which came to europe in 1968. With history laid out before and after the ’67 year it can be said that reliability issues that larger twin port engines raised were not experienced in that golden year. Better braking and clean simple lines gave the buyer the feeling that they were buying a refined and well thought out vehicle without compromise, thus I feel the accolade does hold up… however as we have the benefit of hindsight a few additions could have made it the true ultimate beetle in my opinion. 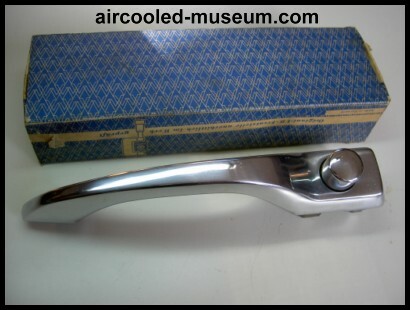 1968 Collapsible steering column. This would have rectified the inherent risk of solid steering columns in a front impact. The doghouse and oil cooler from twin port era. Number 3 cylinder was prone to overheating, if VW had fitted the offset oil cooler and doghouse fan housing then the 1500 may have been even more reliable. Inertia front seatbelts and 3 Point Seat belts in the rear of the car. 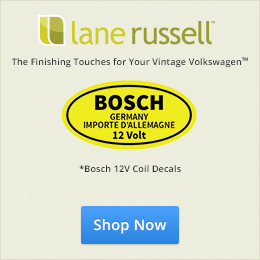 Dual circuit brakes on all 67 model cars Europe and US. So there you have it, some reasons why people regard the 1967 as the best beetle. Great article, Matthew! I’m already a fan of your contributions. The 67 does have it’s own personality and you have confirmed some of it’s “best year” attributes. What a really nice story I did enjoy reading it and the picture is great. Thanks for sharing it with us. Thanks for reading. A bit welcome to Matthew. Thanks Arthur, I’ll be tackling a few other good topics soon. Hello, Matthew. Great article which helps us to understand more the difference between USA Imports and British/European models. This long has been problematic for us in the USA. You say that in Britain (Europe?) the carburetor was the 30 Pict-2 for year ’67. Did I misunderstand? Here, in ’67, we still used the 30 Pict-1, a carry-over from year ’66 with some modifications. Jay thanks for the kind comments, yes you are correct, typo it should be a 30 pict-1 in the article, also my mind was probably swayed as I’m running a 30 pict-2 at the moment, which I must say is an excellent carb. The engine in my beetle at the moment is a 1200 single port, this was the engine that came with the car and I’m slowly building the parts together for my ultimate engine which is……. This engine I feel will provide the same essence of a 1500 s/p but with the extra cooling from the doghouse, single port some say produces better low end torque. I’ll keep my 30 pict-2 as now I remember correctly it was fitted to the 68 model year. Many thanks Jay, its good to have this community to get these issues right. Eric if you want to edit that item in the article then I would stand true. Extra note, while im running my Solex 30 pict-2 im running smaller jets, much smoother response than the 28 pict that I also have which is rather worn. Hello from Texas, Matthew! Right–about the carburetors. I have run the 30 Pict-1 exclusively on either the 1500cc or the 1600cc engines with great success. It doesn’t seem to matter whether at lower speeds or at extreme highway speeds (75 + mph). So, I keep refurbishing those 30 Pict-1s and loving them. RIMCO in California will bush the throttle shaft orifice with bronze or brass–the bronze is certainly the better of the two. Ed Fall, in Utah, does a magnificent job on carbs–he resizes the worn throttle shaft orifice and installs an over-sized steel shaft. This allows the shaft to run on the original carburetor body material, which is an even better arrangement. The body material acts as a “lubricant”. Here, we’ve found that by running the “dog-house” shroud with the off-set oil cooler, the engine actually will run hotter unless off-set hinges are used on the decklid. This is because the larger fan requires more air than the stock decklid (no louvers) will allow to enter the engine compartment. Usually people are installing decklid stand-offs or find either a genuine convertible decklid (very expensive) or a faux convertible decklid. This allows the engine to aspirate properly again. In my lengthy experience (over 37 years) of driving, using the stock configuration (“skinny” shroud and stock “skinny” oil cooler) I never have had any over-heating issues or “vapor-locks”. This includes driving in extreme Texas summer heat of over 100 degrees F, including driving at those temps in Dallas traffic–which is a real killer! The major threat to engines is poor maintenance and dirt. I DO understand the problem where, in your case, gasoline has high ethanol content. This, of course, raises concerns about over-heating. Since we, here, still have only 10% ethanol content, we have not studied the effects of higher than E-10 content. One other thing which we have found which appears to contribute to higher engine temperatures: that is, using roof racks–especially when they are loaded with luggage, etc. This appears to disturb the air flowing over the roof and into the engine bay. I’d like to see a scientifically done study in a smoke chamber using things on the roof of a Beetle. But, our immediate, unscientific tests, seem to indicate that it can be a problem. I know that I have opened-the-can for many varying comments. All of that said–the stock configuration which was engineered by those Germans seems to work best. If…we can control those variables! Lol, I’m on the same page as you Jay, when I first looked into building my ultimate engine with the dog house cooling mod I started to research the issues, before long I ended up on the Gene Berg Website which also states that standoffs or convertible decklids would be the only way to benefit from the larger fan……..lets just say I hate decklid standoffs and could not afford or find a 67 vert decklid. I could however find a 70-71 saloon decklids with exactly the right profile, plus I had a spare 67 decklid. After some very accurate measuring,cutting and welding the result is this which works very well and keeps things lovely and cool. In regards to the 30 pict -1, yes I’d love to get a good one as a keeper but at the moment my best original carb is the 30 pict-2. Thing with 30 pict-1’s is you have to get the power fuel circuit one where the 30 pict-2 has this already from standard. When ebaying it makes it alot easier to buy. Jay have you found out about the Mikuni main jet valves being the same as hard to get solex ones. Interesting! Have you heard of Vintage Werks? Ed Fall is fantastic when it comes to rebuilds. Matthew…Nothing wrong with a faux ‘Vert decklid–if you need that extra cooling. I share your dislike of decklid stand-offs–they allow too much water and dirt to enter the engine bay and ruin the nice decklid line. what I have found is when I get my carb cleaned up I try and jet it to the engine, with a 1200 engine and a solex 30 pict-2 I have to lean up the jetting. My rule of thumb is the plugs should be a chocolate brown colour and not too thick or thin deposits. Im just cleaning up my repro bumpers at the moment which is quite tedious as they really do rust over here. For the weather we get i’m considering getting some stainless ones from harrington, I realise the WW ones are the best but just hate the thought of rust comming through any time soon, plus could not afford them with the import duty. I was about to say. WW is by far the best in terms of the offering. It’s too bad shipping would be so high. I have a very good relationship with the guys over at WW. Such nice folks. Have you read our Wolfsburg West article? Matthew…you told us that your father ordered his ’67 to have the US Export over-riders installed. Were those over-riders the sloped ’67 style which we have on cars imported into the USA? 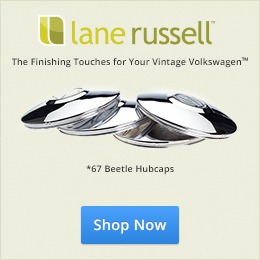 I note that you have the ’66 and earlier style on your car which you indicate is replicated to match your father’s ’67. Also, I note that you have no reverse lamps on your car–did ’67s not come to England with reverse lamps? Your convertible lid looks great! Many thanks on the decklid comments. Right the bumpers I have are unfortunately only the “sunny chrome” ones as at the time I did not have the cash for any high quality ones. Lets have a look which ones my dad had, here is a picture when mum and dad got married, you can just see a hint of the top tube going down rather than along. by the time we caught up with the car in 1989 8 years after my dad sold it it was a little different with a flame front to it. But no bumpers. Interestingly VW must have been doing pretty well in 67 as although the uk 67 did not have reverse lights they did have the switch installed on the gearbox. Here’s how it should be in terms of the code. We second Eric’s reference to Ed Fall. Just got one of his rebuilds on Eric’s recommendation. The man does fine work! I Bought a new one when I was in high school for $2004.44. Totaled by a Plymouth Road Runner at 2004 miles. Bought a Fiat 124 sedan with the insurance money (also a great, though tinny, car). Now I’m looking to buy a ’67 bug and having it shipped from CA to Iowa. It will not be driven in winter. Had 3 ’59s as well. I imagine I will have some questions for you guys once we get the car. Thanks for the fine reading and BTW, no photos showed up on my computer.